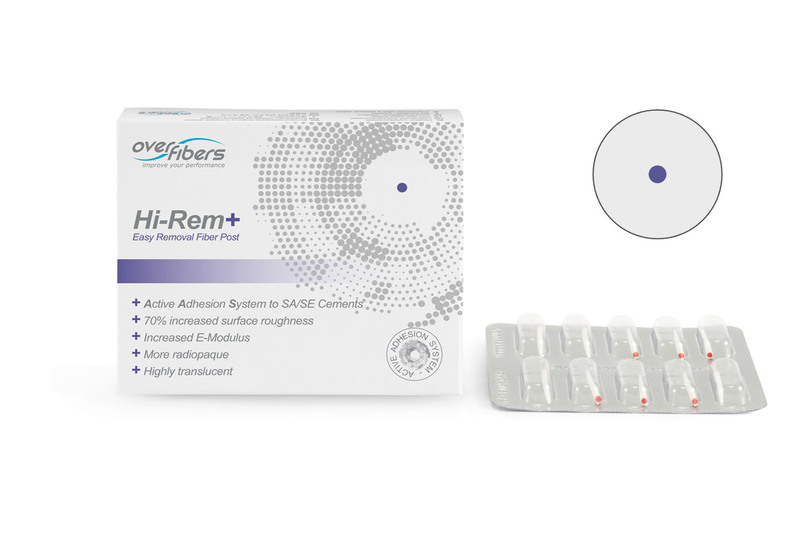 The innovative fiber post with AAS (Active Adhesion System), the biomimetic matrix-integrated bonding principle of Hi-Rem+, to increase the adhesion with OverCEM SA Self-Adhesive luting cement through a tested chemical interaction. 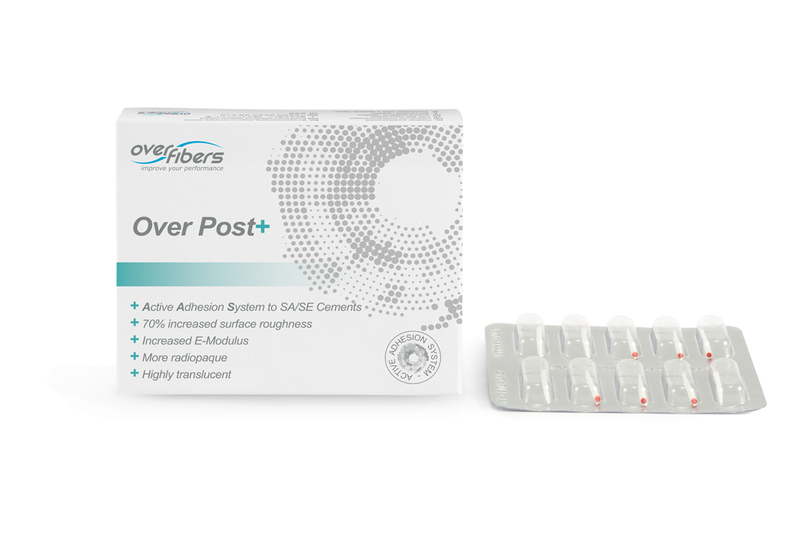 The innovative fiber post with AAS (Active Adhesion System), the biomimetic matrix-integrated bonding principle of Over Post+, to increase the adhesion with OverCEM SA Self-Adhesive luting cement through a tested chemical interaction. The surface of Hi-Rem Post is extremely rough and retentive in order to maximize the adhesion of the cement. 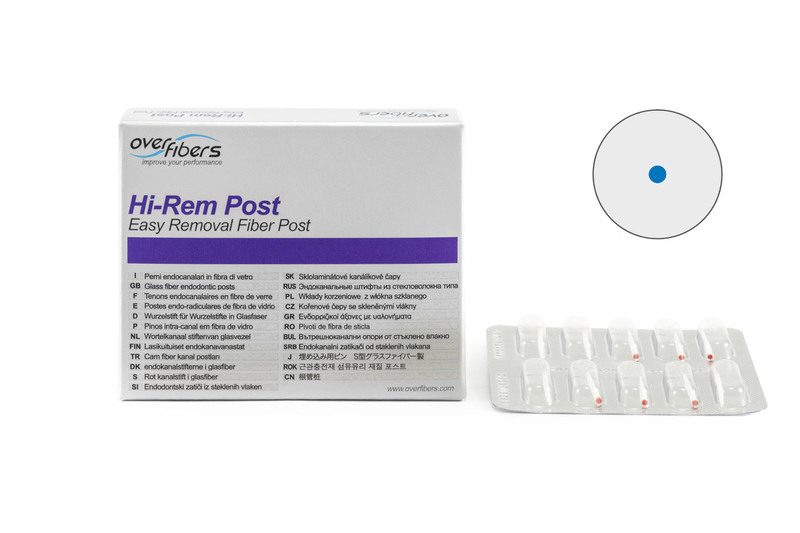 The central longitudinal axis of Hi-Rem Post is made of blue colored soft macro-fiber, placing in this position doesn’t affect the resistance of the post (neutral axis) with the advantage to be easy removable when it is necessary. 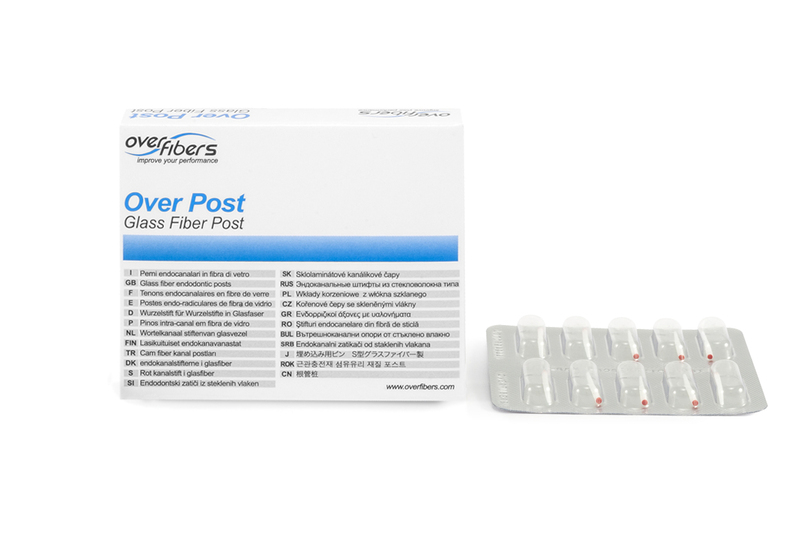 The surface of Over Post is extremely rough and retentive in order to maximize the adhesion of the cement. They are available in many shapes and sizes for all clinical needs. Subscribe to our newsletter to learn about new products and special promotions!